Kim has nearly 30 years of dental experience, and she joined our team in 1991. Since then, Kim has been hard at work helping patients achieve their healthiest, most beautiful smiles in complete comfort and relaxation. In addition to being a dental assistant, Kim studied dental radiography at Guilford Technical Community College and infection & hazard control and coronal polishing at Wake Forest University. She is also CPR certified. A native of Greensboro, NC, Kim is happily married, and she and her husband enjoy visiting the beach and riding motorcycles together. Kim loves spending time with family, and as a pet lover, Kim enjoys spoiling her dachshund and cat. 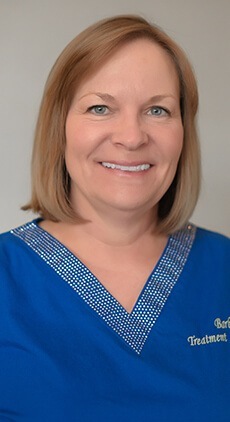 Since 2007, Barbara has worked hard to help patients get the dental care they need within their schedules and budgets. Barbara continues to learn and educate herself on patient safety and is CPR certified. Originally from Center Moriches, NY, Barbara has lived in Kernersville since 2006. She is happily married with three children and five grandchildren. She loves camping, spending time with family, spoiling her three dogs and enjoying her koi pond. 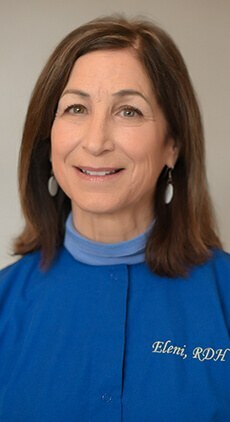 With more than four decades of dental experience, Eleni joined our team in 2002. Since then, she has gone above and beyond to make sure our patients are able to achieve and maintain their highest level of oral health. She earned her dental hygiene degree from Guilford Technical community College and maintains her continuing education hours and CPR certification. Outside the office, Eleni is the proud parent of a daughter and son, and she enjoys reading and spending time with friends and family. 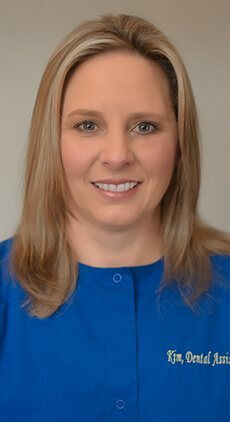 With more than 20 years in the dental field, Stephanie has been a member of our team since 1995. 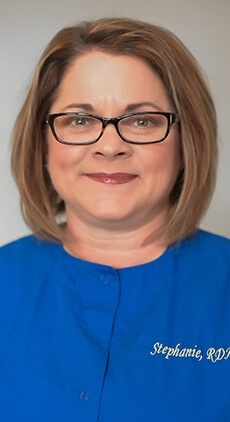 She studied dental hygiene at Guilford Technical Community College, is CPR certified and completes continuing education hours each year to maintain her knowledge of advances in the field. A native of Thurmond, NC, Stephanie is married and a proud mom to a son and daughter. She enjoys traveling, scrapbooking and participating in outdoor activities.